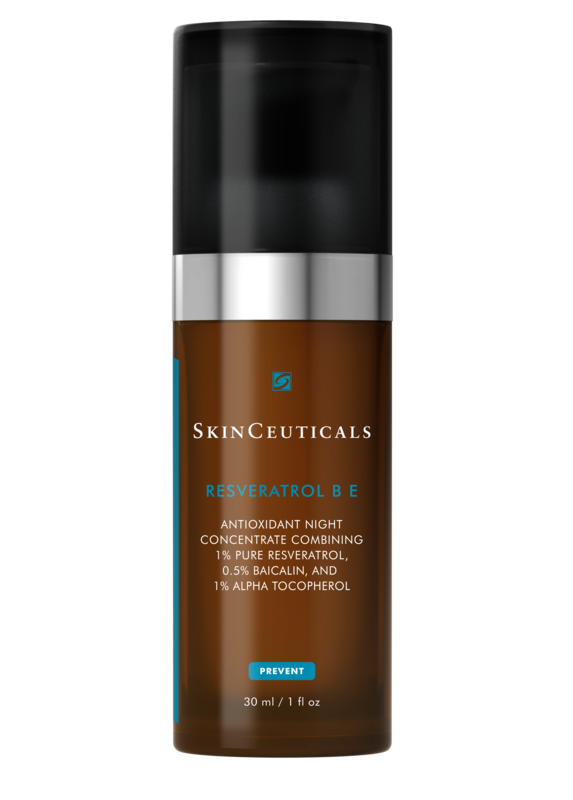 Let Resveratrol B E work while you rest! This potent antioxidant cocktail is a nighttime treatment that works to reduce the appearance of fine lines and wrinkles while supporting firmer, more radiant skin. 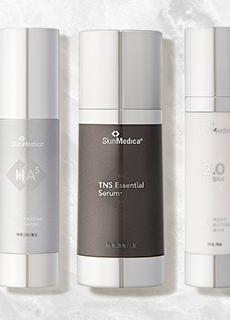 Its combination of 1% resveratrol (an antioxidant derived from grape skins and red wine), 0.5% baicalin (a medicinal herb extract), and 1% pure vitamin E (alpha tocopherol) neutralizes free radicals and supports the skin’s natural antioxidant defenses. It’s an ideal choice for normal, dry, and combination skin. Directions for Use: After your nightly cleansing and toning, allow your face and neck to dry. 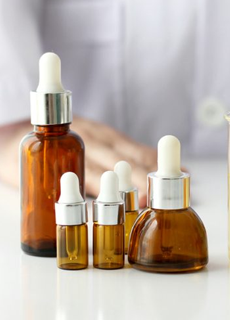 Apply 1-2 pumps of serum and allow it to absorb thoroughly before proceeding with the rest of your regimen.